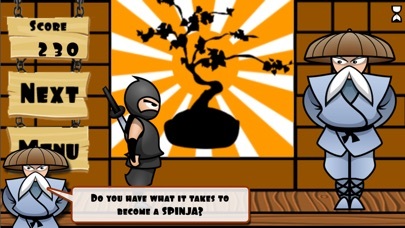 Universal Spinja and The Mystic Dojos Available Now! Discussion in 'iPhone and iPad Games' started by snowdayapps, Oct 15, 2015. 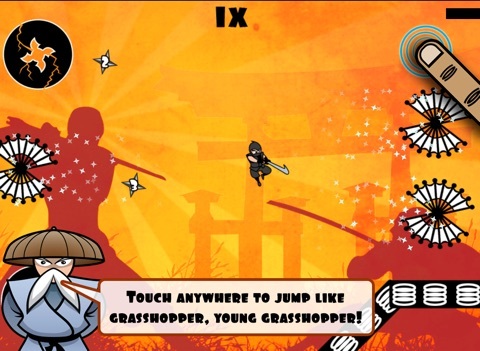 70 Levels of Insane One-Touch SpinFu Ninja Pandemonium! Totally Free! No Annoying full screen ads! Beatable w/o upgrades! 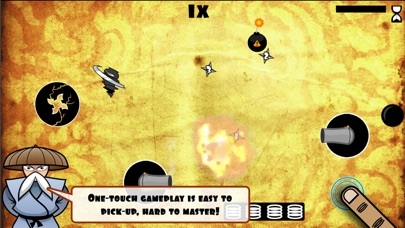 One-Touch gameplay is easy to pick up, insane levels are challenging to master! 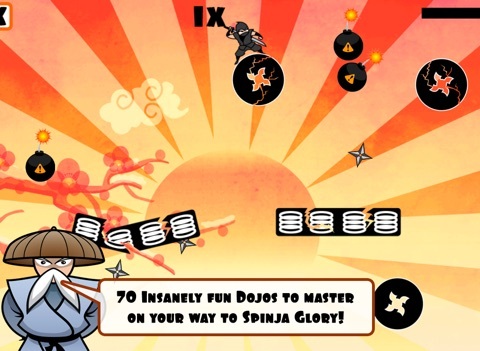 Spinja And The Mystic Dojos transports you to mystical dojos where you must master the ancient martial art of SpinFu. As you spin 360 degrees on mysterious spinning platforms you must time your jump perfectly by tapping the screen at the precise moment. Use bouncing platforms, teleports, mystic winds, cannons, and spinning platforms while being sure not to smash into bombs or fall out of the dojo! 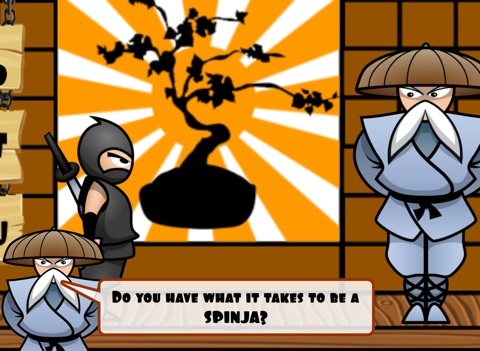 Each dojo is mastered when you have collected all of the ninja stars. 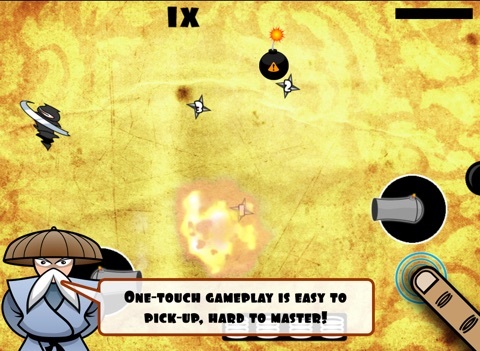 Features: **Addictive pick up and play one-touch gameplay! **70 insane levels! **Beautiful visuals! **Challenging elements including spinning platforms, bouncing platforms, moving platforms, cannons, bombs, teleports, mystic winds, broken platforms, and much more! 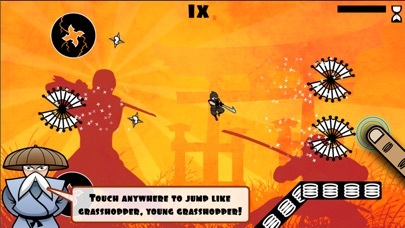 **Totally Free - all levels can be beaten without making purchases! **Upgrades are available though for an even crazier SpinFu experience! **No annoying full screen ads! **No Ads at all during the gameplay itself!